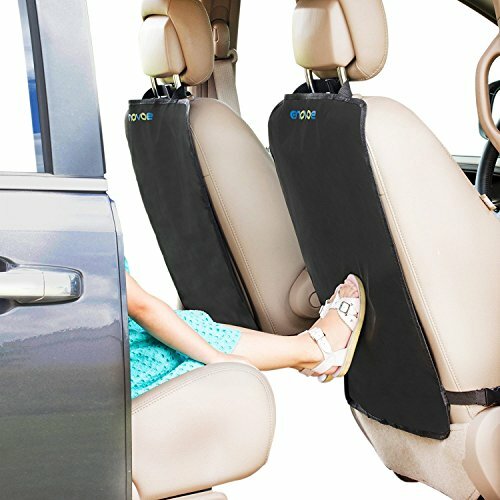 Looking for a long-lasting, stylish, and RISK-FREE solution to protect your car's interior? Well, look no further! Our premium, dual-layered, waterproof kick mats are just what you need to protect your investment. Not only do they protect your seat back from dirt, mud, snow, and rain, they do it in style. Our kick mats are manufactured with the finest materials and are built to last! Don't settle for anything less! • Our 18" x 24" kick mats and their adjustable straps are larger than competing brands. They will cover more surface area and fit perfectly, providing a more complete solution! • Unlike others, our kick mats clean with absolute ease! Simply wipe them with a damp cloth. That's it. • Our premium kick mats come in deluxe packaging that customers love for its "gift-a-bility". Whatever the occasion, Enovoe does it best! If you have any questions about this product by Enovoe, contact us by completing and submitting the form below. If you are looking for a specif part number, please include it with your message.